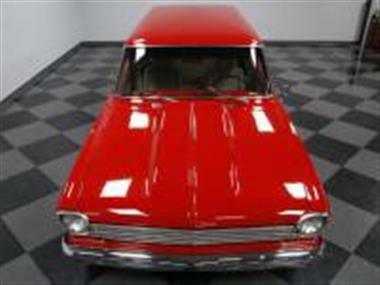 1963 Chevrolet Nova in Concord, NC for sale. Price Analysis: Fair Deal, 7.0 % below market avg. What's this? 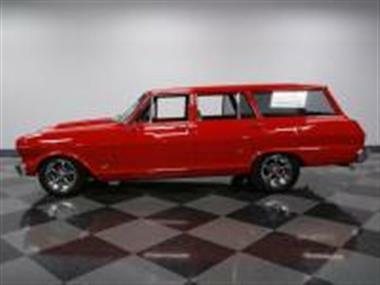 With a rarity only second to the convertible versionand#44; a 1963 Chevrolet Chevy II Nova wagon is the perfect candidate for restomod customization. 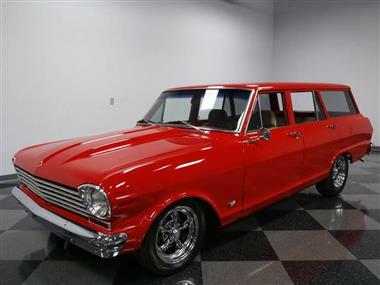 With amazing paintand#44; a powerful crate V8and#44; updated interiorand#44; and upgraded suspensionand#44; this one has left its family hauler days in the rear view mirror.<br /> <br><br> Turning grocery-getters into go-fact machines is an art. The best way erase the suburban blues is by investing in a bold red. But more than just colorand#44; the canvas has to be at its bestand#44; so theres plenty spent in making the sheetmetal look great. 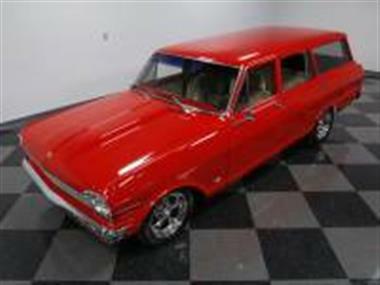 Arguably the Novas angular style offers the best-looking wagon of the mid-60sand#44; and it has a stance thats perfect for an aggressive update. Only adding to the mystique are the mirror-like chrome bumpersand#44; clean grille designand#44; and a set of iconic American Racing Torq Thrust wheels. Plusand#44; youre going to love all the detailsand#44; from the tinted windowsand#44; to the racing flag emblemsand#44; to the custom cowl hood.<br /> <br><br> The tan interior is beautifully customizedand#44; starting with a set of comfortable cloth bucket seats with arm rests for long haul usability. The rear keeps a nod to the family hauler past by retaining the easy to clean vinyl. 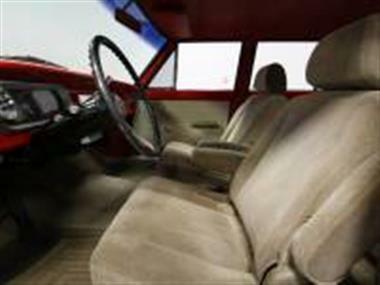 The total package coordinates very nicely with the seats matching the custom door panels and new carpeting. Some of the upgrades are quite obvious like the classic Chevy performance three-spoke steering wheeland#44; auxiliary gauge packageand#44; and the large tach. Other upgrades like modern insulation IS hidden under the carpetand#44; but youll certainly appreciate it on those times when you want to be shielded from the enhanced rumble that begins under the hood.<br /> <br><br> The engine bay holds your favorite upgrade. 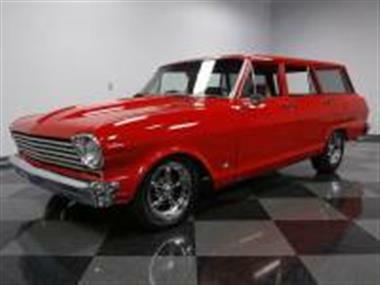 In 1963and#44; Chevrolet was still a few years away from installing a V8 in the Chevy IIand#44; but this one surpasses even its successors. Thats a 350 cubic-inch crate motor filling the engine bay. The small block V8 looks great with the dark valve covers and headers matching the painted fender walls. It gives bold elements like the tidy red plug wires a chance to really standout. But more than just look goodand#44; this motor has 290 hp out of the box. 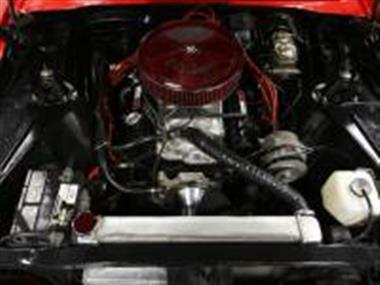 Plusand#44; it has been enhanced with an Edelbrock four-barrel carburetorand#44; Edelbrock intakeand#44; aluminum radiatorand#44; and long tube headers that feed the rumbling dual exhaust. And more than just the motor has been upgraded. The TH350 three-speed automatic transmission was rebuilt to include a shift kitand#44; and it feeds a rebuilt rear end. Plusand#44; the front suspension has been upgraded with a Classic Performance Products setup that includes tubular A-armsand#44; sway barand#44; and quick ratio power steering.<br /> <br><br> This is the perfect classic. After alland#44; youll convince everyone that you bought a versatile family vehicle with plenty of cargo space. But really its the small block power and performance suspension that sold you. Since youre not the only one who would like to disguise his dream car as a practical classicand#44; you should hurry and call today! 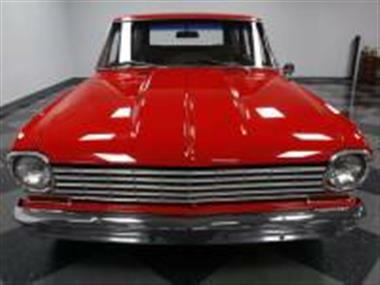 This vehicle is priced $1,895 less than the Average Market Price of $28,890 for a 1963 Chevrolet Nova. This is a Fair Deal as it's priced 7.0 % below market avg. The Pie chart below shows the number of ads within different price ranges.